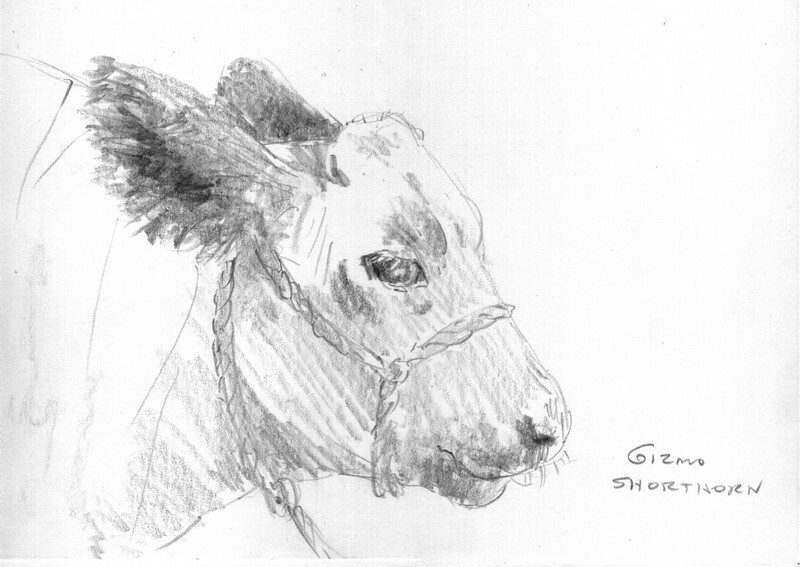 "Gizmo" was an adorable cow that was irresistable to sketch. There were times during the drawing sessions that I would take the minimal amount of time to capture the animal and othertimes that I intentionally take more time for a detailed picture. This drawing was a 'quick sketch' taking just a couple of minutes. It's great practice, to make sure you don't dawdle and overdo the subject. There were so many astounding animals at the farm show that it was difficult just passing any of them by.